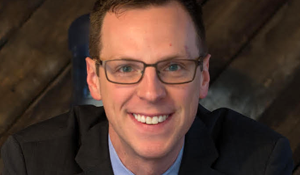 Jon Hoadley is in his second term as the representative for the 60th House District. Hoadley fights for a Michigan that invests in people, and is a leading voice in the fight for nonpartisan redistricting, reducing the influence of money in politics, and term limit reform. Additional priorities include increasing education funding, lowering student debt, raising wages for working people, protecting the environment, and ending discrimination. Hoadley is a small business owner and serves as president and owner of Badlands Strategies, a progressive public affairs firm. He has a track record of running ballot measures advancing LGBTQ equality and regularly consults on nondiscrimination campaigns across the country. Previously Hoadley worked for the Gill Action Fund and managed South Dakotans Against Discrimination. In his first term, Hoadley served on the Higher Education subcommittee. He also served on the House Elections Committee.